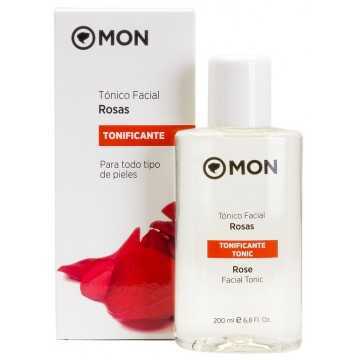 Rose Facial Tonic Mon Deconatur. It tones the skin, leaving it softer and brighter. Activates blood microcirculation. Facial tonic for all skin types, with tonic and protective properties. Formulated with essential oil of Rosa Damascena, suitable even to the most sensitive skins. It tones the skin, leaving it softer and brighter. Activates blood microcirculation. Rose Facial Tonic is recommended for all skin types, with toning and protective properties. It is made with essential oil from Damascus roses, and is also perfect if you have sensitive skin. It is applied on the face, neck and neckline, with the help of a serralha or gently with the help of the fingers, for the penetration of the product. Active ingredients: essential oil of roses from Damascus.